1. Begin by printing out the template, cutting out the bat character and adhering it with Washi tape to a black piece of First Edition Textured Card Stock. Carefully cut around the shape. 2. Fold in the edges on your chocolate bar wrapper and secure it with Dovecraft Perma Fix Tape. Add strips of Perma Fix tape to the length of the chocolate bar. 3. Stick your chocolate bar to the centre of the bat design. 4. Add a pair of googly eyes to the bats face. Alternatively you can cut out the eyes from the template if you don’t have googly eyes to hand. 5. Add a strip of Dovecraft Perma Fix tape to the edge of the left wing. Fold in the right wing and adhere the left wing to it. 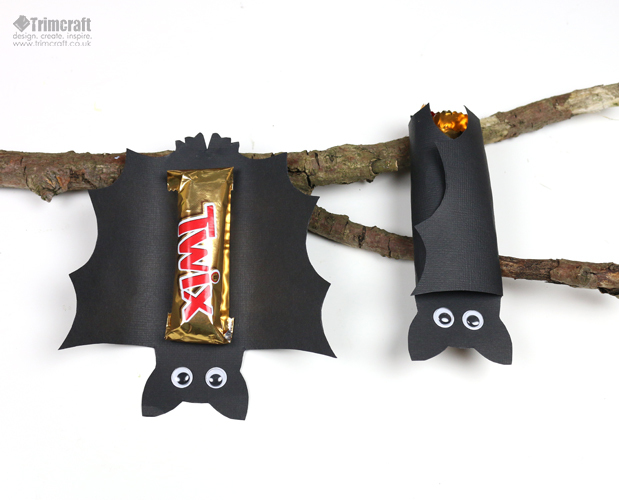 There you have it, a brilliant bat design that will add a spooky edge to their sweet treat! To give him a friend, why not make a flock of bats? 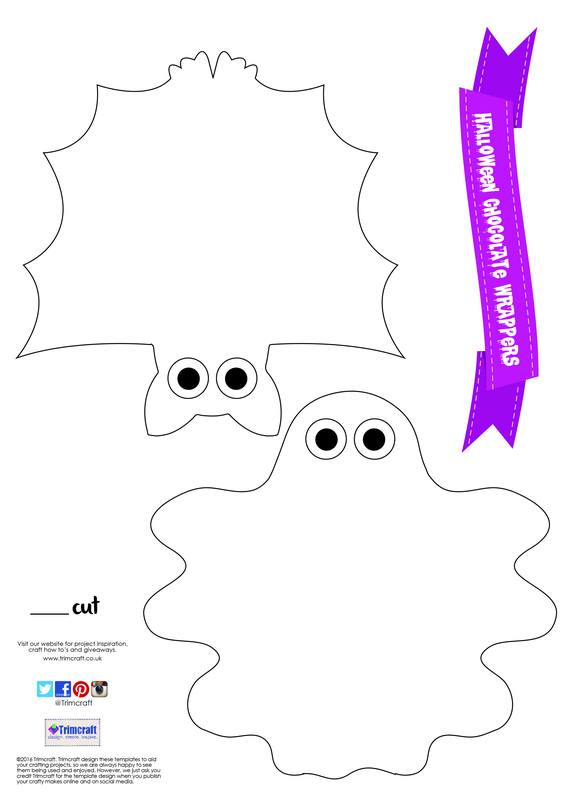 You can use this template to create a fun home décor piece this Halloween! We’d love to see your creepy characters in the project gallery so remember to upload them! If uploading to social media, don’t forget to #trimcraft.